It’s only a few seasons ago that Aston Villa were consider a Top Six Premiership club. Three back-to-back sixth finishes confirmed that and Villa have been no stranger to European football over the years too. While the team plots it way back to better days, a surprising chance discovery by MOMS suggests we still are a Top Six team in other parts of the world. According to Google, for the month of August, across the Atlantic, Villa were in the top six for trending ‘soccer clubs’ in the USA (see table below). Topping the likes of Liverpool and Manchester City, and even more outlandishly, all the champions of the five main European leagues: Barcelona, PSG, Manchester United, Juventus and Bayern Munich (who also won the Champions League). The Gareth Bale transfer saga would explain why Real Madrid are in top spot, but Villa, sixth, out of all the football teams in the world? Surely Villa’s only American player Brad Guzan can’t be that popular across the pond? It could be to do with Villa’s win against Arsenal in August, but Arsenal would also have been trending, but they’re not even in the Top 10. I would have said Villa supporter Prince William having a baby, but that was in July. 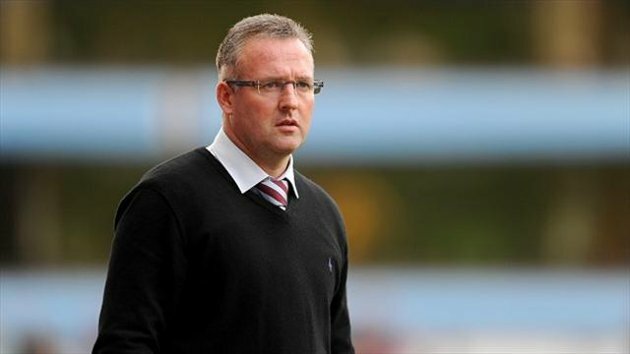 The only explanation we can come up with at MOMS is it’s all to do with Paul Lambert’s decision in August to start wearing a smart shirt, tie and jumper combo. Dumping his sideline fashion choice of a tracksuit (or ‘shell suit’ as some fans have described it), seems to have gone down a treat stateside. Maybe Lambert’s ‘trendy’ attire has been the talk of many a American fashion blog or something?! I would encourage anyone in North America (or the rest of the world) to join my Chicago Villans Facebook page (https://www.facebook.com/groups/236744766446627/). We love contributions from other claret and blue blooders from anywhere. You can also follow me on Twitter (@AVFCUSA1000). I am also trying to organize a North American invasion of Villa Park for the last home game against Hull in May 2014. Already over 25 people from the US and Canada have expressed an interest in joining the trip. I have set up a Facebook event for planning purposes (https://www.facebook.com/events/1376400109262692/) and an email distribution list (contact me at [email protected] if you want to get on the list). We had a meet up in Chicago for the opening game against Arsenal and had 50 Villa supporters from as far afield as California, Arizona, Texas, Michigan and Canada attend, and got an article in the Newcastle program about the event. Villa’s preseason tour last season certainly didn’t hurt our attempts to build a strong fan base here. We had over 200 fans at Toyota Park and organized a number of different events including a friendly game against Fire fans (with Ian Taylor playing for us), meet and greets with the players, and a raffle in aid of Acorns and Leukemia Research. Just this last weekend we had five visitors from England at our home bar (The Globe Pub), and we encourage anyone that is traveling to Chicago to come out and meet us for a game! I encourage all to join it. Lots of great Villans on the page from all over the US and Europe. One American Villa fan here…count me in! avfcusa1000 Great to hear. Whereabouts are you based? The leaders of the various supporters clubs in the US are doing a great job spreading the message about Villa. People still comment to me on the great turn out we had for the first North American supporters meet up for the game against Arsenal. One thing that binds us is our passion for our great club!